based on 13 749 votes. 8 user reviews. Radio Love Music - Popular Music and Youth - information station that carries his speech in the Russian city of Orel. Love Music locals can listen via radio by setting them on frequency 101.8 fm. Also youth station call sign can catch on the outskirts of the city and several districts. Love Music radio belongs to the neo- conceptual stations that do not cause the listener to be led waves combine in many styles of music online . The station is only my playlists of the best tracks of electronic music. By the way, the musical content is more than 80 % of the total running time. In choosing between Russian and Western electronics here prefer the latter. Looking at it as a percentage, foreign music is giving 90%, and only 10 % are Russian tracks sound producers. Most of the songs that are aired are hot modern hits, and that came out during the last decade. 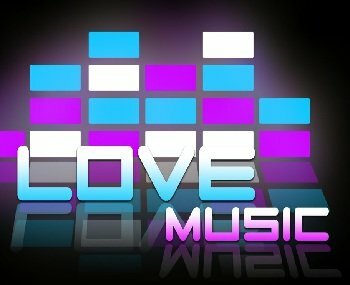 Listen Love Music - meaning enjoy the best music shows, keep abreast of all new global club culture, be the first to hear the latest tracks local DJs, be said to be in trend! Enjoy ether popular regional station can attend. Listen to FM radio Love Music online you can with our resources, brought together thousands of the best radio from around the world in one place. Listen radio online on BestRadio.fm is easy, convenient and free. Listen Love Music and other favorite online radio with us and have fun!